This sample shows how Paris can be used for high-volume shipping label printing. Ideal for situations where you need to print large quantities of multi-up shipping labels ate high speed or for on-demand, distributed printing. Dynamically change label format to support the various shipping providers as well as any customization. 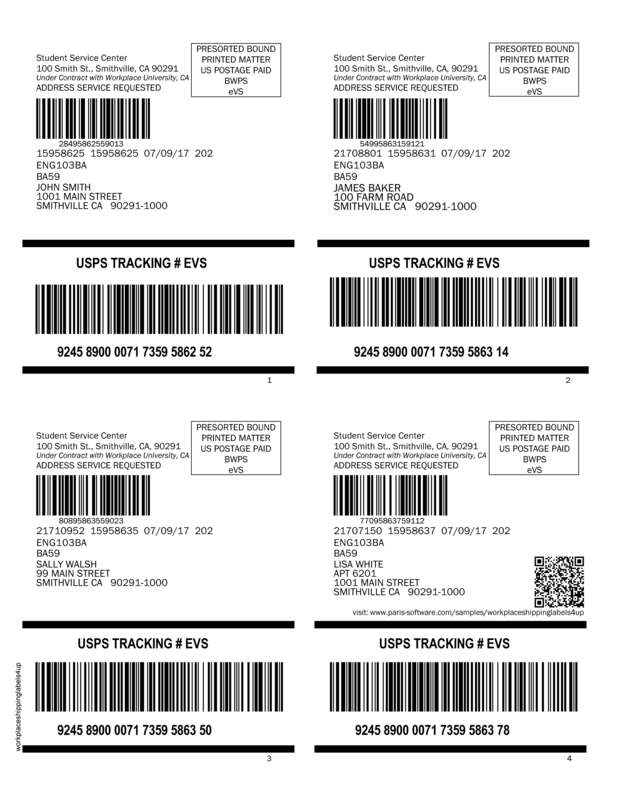 In this example, we are using Paris' Cascading Data Block technology to define 4 logical shipping labels on a physical label. This allows shipping records to be printed on a single label sheet. Absolute control over the position and format of each Data Block allows you to easily define the label sequence. In this example we are making use of various barcode formats.